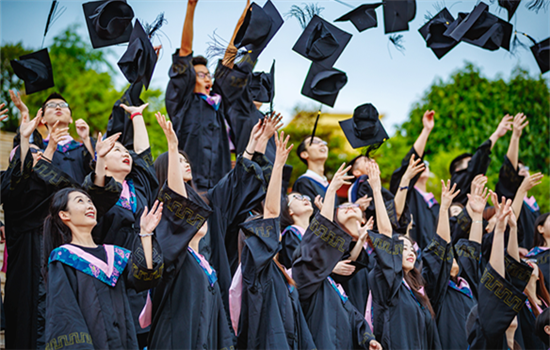 In the past 90 years, 150,000 undergraduates have graduated from Yunnan University, taking with them the university's spirit of "Wisdoms from Many, Justice for All" and remembering the university's motto "Dignity, Knowledge Acquisition, Righteousness and Practice". There are 94 bachelor degree programs in the university divided among the 11 disciplines of literature, history, philosophy, economics, management, law, science, engineering, agriculture, education and art, developing a system based on Yunnan University's characteristic coordination of academic study. With the view that education has a moral basis, Yunnan University pushes for coordinated education through scientific research in the context of cultural awareness with the aim of combining knowledge, capability and personality. In accordance with the needs of national and regional development in the economy and society, Yunnan University cultivates outstanding creative students with a sense of social responsibility, a creative spirit, practical ability and an international perspective.